Air Operated Double Diaphragm Pump of high quality is available from us. 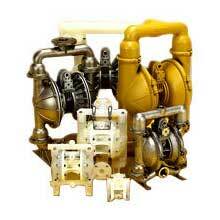 The Air Operated Double Diaphragm Pumps are fabricated with high-grade parts and machinery. The Air Operated Double Diaphragm Pumps find their extensive use in various industrial operations and are available at the most reasonable rates in the market.